Thanks for signing up for the Nurse Leader Insider free weekly enewsletter. 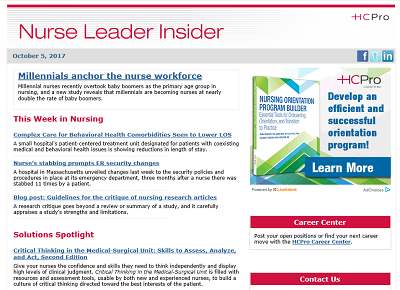 Nurse Leader Insider provides expert advice, tips, and best practice strategies on all the topics you care about most. ©2019 HCPro, a Simplify Compliance brand. All rights reserved.